When you are visiting a place that you have not been before, you should always do some homework in advance on places to visit in that particular area. 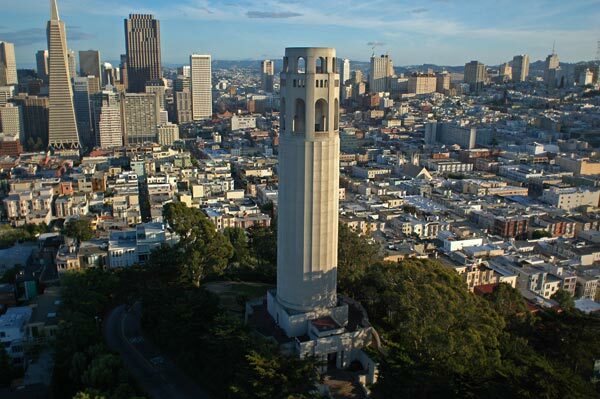 If you are visiting San Francisco, one of the most interesting sites that you may want to visit is Coit Tower. It gives an excellent view of the nearby areas and is one of the best attractions in the vicinity. Visiting it is not a big problem and you can plan ahead of time to make sure that you get a chance to go on top of the tower. There are numerous options that are available to you in order to see Coit Tower. You can drive their as well as take a cab in order to get to the place. There is also an option to get a bus travel tour of San Francisco which can also help you in seeing various other places of importance in the area. See how much time you have and how many places you want to see and make a decision accordingly. Once you have decided, you need to act upon it. If you choose to take your car, you will need to park it at a distance from the tower so that you can get a spot with ease. A little walk will have to be taken but that is not a big deal, especially when you are visiting a place. In case of a cab, you will have little or no walk though the cost of travel will be greater than your own car. You will not have to navigate and find the place and the cab driver will drop you off at the spot of your liking. It is probably going to be a lot more economical than the tour bus which can cost quite a bit for the tour. There is a small fee for the elevator but it will take you to the top of the tower. This seems to be the best option as you do not want to spend the whole day getting to the top. You will be dropped off at one story below the top with some excellent places to have a look outside. You can go further up with the spiral staircase which also has some vantage points.